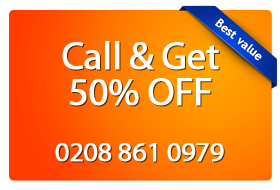 Magic Carpet Cleaning is a London based company providing full coverage of Childs Hill NW2 and the surrounding areas. Our certified carpet cleaners will try to deliver the best service possible. We provide the two most recommended carpet cleaning methods by the industry – Hot Water Extraction and Dry Powder Cleaning. For more information, call us on 0208 861 0979. Magic Carpet Cleaning offers 100% cleaning guarantee to all customers! We re-clean until you are satisfied! Our support assistants will answer all your questions and provide you with free estimate – 24/7! Our teams are trained to take care of any carpet cleaning job. We, at Magic Carpet Cleaning provides both, deep steam cleaning and dry powder methods for best results. We provide carpet cleaning services for commercial and residential properties. Our experienced cleaners will choose the best cleaning method depending on condition, fabrics and the use of your carpet. Steam cleaning is the most efficient way, it makes your rugs good as new. Dry powder is less effective but much faster method. Our customer support lines are always open. You can receive an information about our services by a phone call on 0208 861 0979. If you give us some information about your property dimensions, you will receive a free price quote. Also you can use our on-line booking form.